Yesterday I bought Manitoba flour at my local grocery store in Copenhagen, and I noticed a recipe on the back for manitoba bread. It was so simple just yeast, water, flour, and salt. I decided to try it, and was blown away by the results. 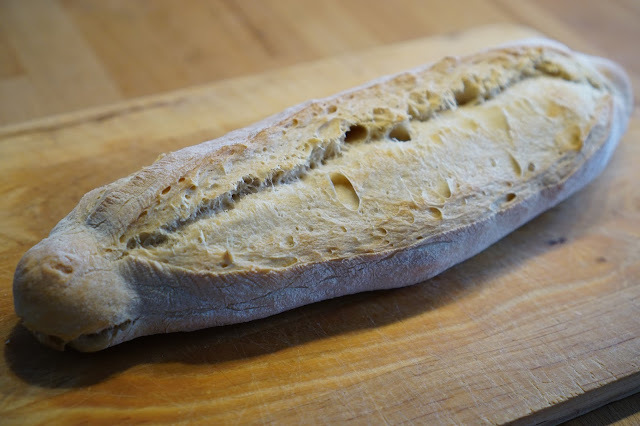 This is just the kind of Italian bread recipe I have been searching for, and it’s so simple. It has a crunchy crust, but it’s soft in the middle, and tastes pretty amazing. Not only that but I was surprised how pretty it came out, with little effort. Combine the yeast and water in a tall cup, cover with plastic wrap and let stand for 5 - 10 minutes. Combine the salt and flour in a large bowl. Add the yeast mixture to the flour/salt mixture. Place dough on a lightly floured surface and knead it for 10 minutes. Place the dough in a greased bowl, cover and let it rise for 1 hour. Place the dough on a lightly floured surface to shape. Pre-heat the oven to 230C/446F. Pinch the sides of the dough together to create a smooth surface on top. 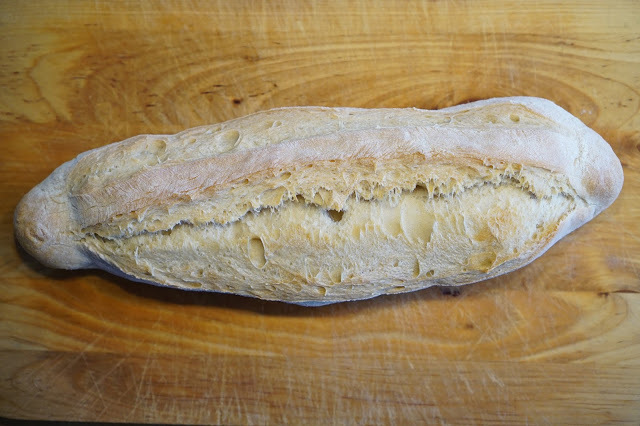 Hand roll the dough to form a baguette or shape it into a round ball or any way you want. 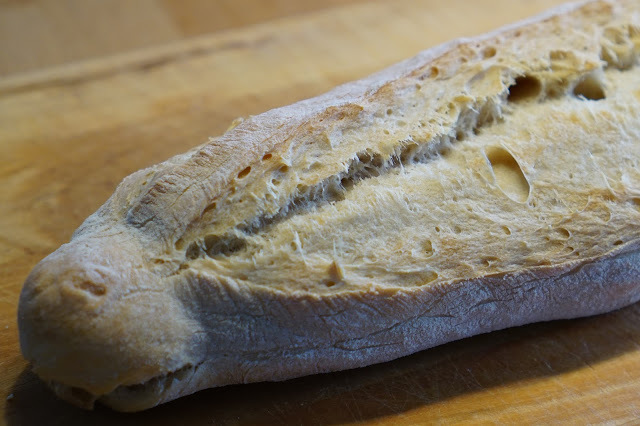 Dust the dough in flour, and cut slits in the dough with a sharp knife (optional). Bake the dough for 20 minutes at 230C/446F and an additional 8 - 10 minutes at 200C/392F.